About halfway through my shamanic facial treatment at a pilates studio in Santa Monica, the Archangel Michael enters the room. He’s brought his sword with him to sever vows I’ve made in other lifetimes, explains my shaman, Julie. Michael is one of the Teachers: spirit guides from other realms who come to Earth to bring about great change. I’m worried, though: it turns out Hitler was a Teacher too. “He came down with a very specific agenda,” says Julie, adding quickly, “He’s not here.” I’m relieved. Angels in Los Angeles is one thing, but no one wants a dead dictator showing up while they’re lying on a treatment table having their face smothered in aloe vera. Julie Civiello Polier is one of a new wave of spiritual healers bringing good vibrations to the beautiful people of Los Angeles. Far from indigenous tribesmen, these urban shamans are blissed-out hipsters ministering to their clients with essential oils, crystals and sound baths — all for a handsome fee. Many work in the beauty industry, bringing a mystical element to otherwise superficial salon appointments. 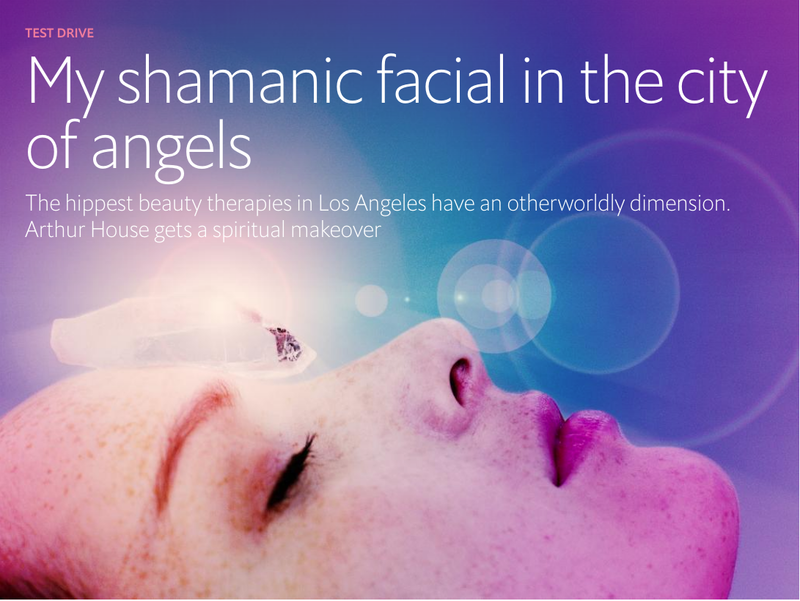 Shamanic beauty treatments promise a makeover both physical and spiritual — and as an Englishman newly arrived in LA, that’s exactly what I needed. Julie begins to massage my face with Q-tips protruding from stainless-steel probes. These are fed by an electric current, which causes tiny flashes of light to shoot across my closed eyelids. Any slight alarm I feel is tempered by the soothing voice of Julie, a former actress, and the pan-pipe music playing in the background. Julie is adjusting the microcurrent to bring my fluids, tissues and cells into a more optimal relationship. In her view, it’s not just what we eat, but also what we read and watch, that registers in our features. Mine, apparently, show signs of grief and disgust, which I ascribe to Southampton’s league position and deadlock in the House of Commons: a severe case of Brexit-face which I’d give anything to have zapped away. 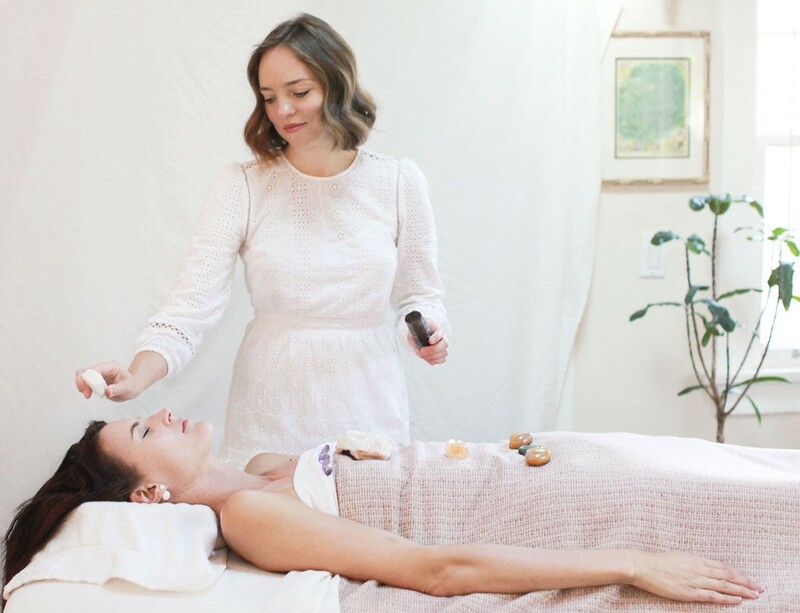 As she administers the facial, Julie is trying to receive messages from the Akashic realm. This is a kind of cosmic cloud-storage system that records every moment in every lifetime — a source of higher knowledge that could help guide me towards my true path. But she’s having a hard time today. Not much is coming forward. Julie often struggles with English clients because of their tendency to “present in a way that’s kind and polite and lacking in emotion”. I leave the studio feeling deeply relaxed, my skin emerging soft and radiant from under its coat of balms and unguents. But I can’t help feeling a little short on inner wisdom. I may simply be too English to get the full benefit of Julie’s treatment. 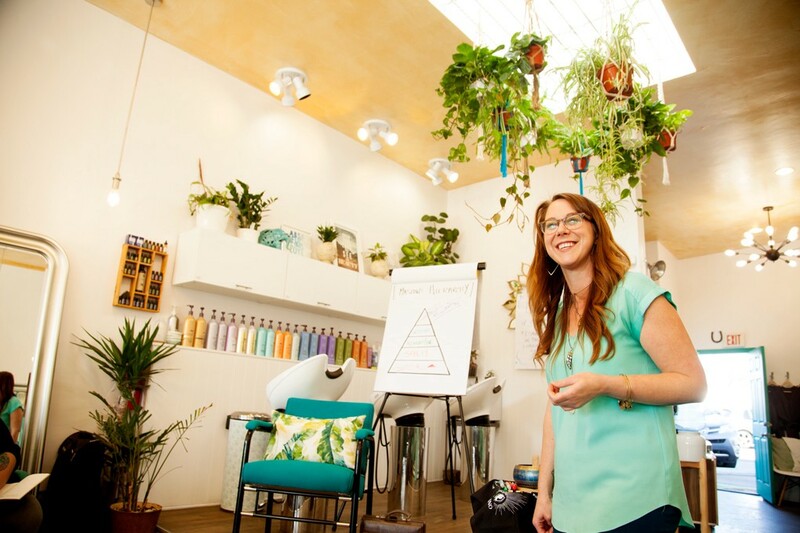 In a different part of Santa Monica, Andi Scarbrough offers shamanic hair rituals at her salon on Mondays. Fifteen minutes before my appointment, she experienced such a feeling of heaviness in her lower body that she had to sit down for a moment. Andi mentions this some way into our session: a two-hour “deep-dive” that combines a haircut with shamanic healing. To alleviate the heaviness, she has mixed a special blend of essential oils and arranged crystals around her salon to expel any negative energy I may have brought in. We begin with some crystal tracking. Andi produces an assortment of semi-precious stones and instructs me to move my left hand over them — left being the feminine, receptive side of the body — and pay attention to any tingling or changes in temperature I feel. I must be out of touch with my feminine side, as I feel nothing. That said, I’m strangely drawn towards a pale-blue stone, a translucent violet one and a deep-blue one flecked with gold. Each has come forward with a message for me, explains Andi. They are angelite, amethyst and lapis lazuli, which are linked to wisdom, peace and enlightenment. All of which are messages I’m happy to receive. Andi drips essential oils into my hair and works them through with combs made of crystal. This is to get rid of any residual scepticism lurking near my crown chakra, one of the body’s seven energy centres. Then she tackles my upper chakras with reiki, an ancient Japanese practice, channelling the universe’s source energy towards me with the palms of her hands. It turns out that my ear chakras are blocked. I’ve put on “energetic earmuffs”, says Andi, which are preventing me from fully receiving the universe’s wisdom. I am relieved to have got to the heart of the problem. To unblock my ear chakras, Andi twangs two tuning forks and wields them near my head, where they vibrate at the frequency of the Earth and the Moon. I am already beginning to feel lighter, less encumbered. When she finally cuts my hair, Andi does a wonderful job, full of verve and nuance, but the task feels rather mundane compared to the spiritual breakthrough she has just achieved. I leave the salon with a takeaway crystal and an envelope of hair cuttings, which I burn as instructed on Venice Beach while repeating “I am open to wonder” — an affirmation to the universe. Centuries of inherited repression seem to evaporate in the setting sun. As my plane touches down at Heathrow, I find the crystal in my pocket. Somehow, back in the cold and grey of an English February, its lustre has faded. Perhaps the bad vibes here are too strong? Or perhaps, like ouzo from Greece or minimal techno from Berlin, shamanic healing is one of those things that simply doesn’t travel.